Happy Birthday to us! The Art Hand celebrated it’s 3rd year in business on Saint Patrick’s Day. 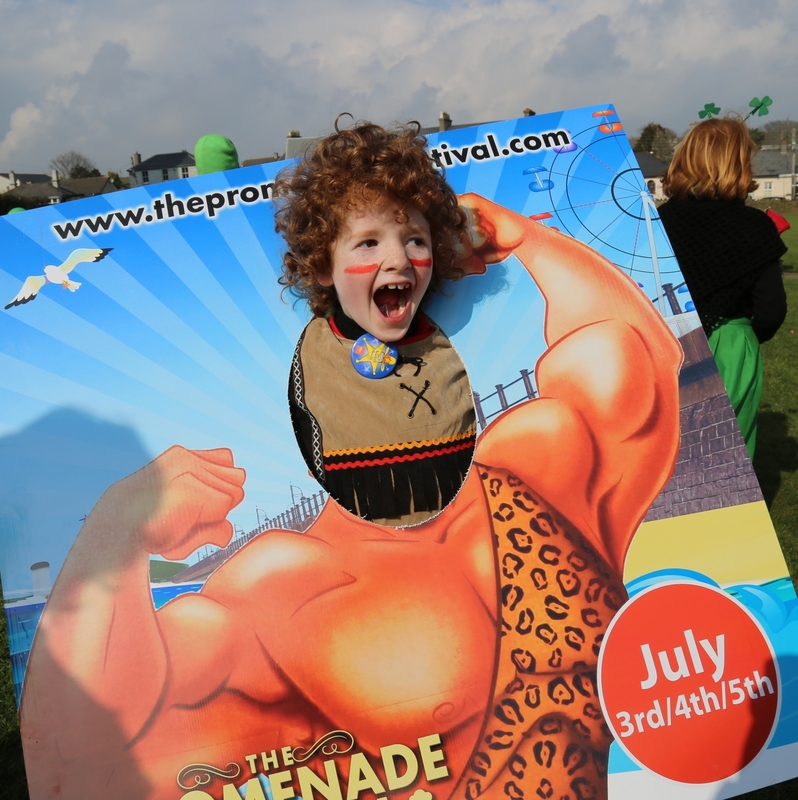 No rest though as we spent the day on a guerrilla marketing campaign for The Promenade Festival for which Sean Corcoran is the Artistic Director. It takes place in Tramore on the 3rd, 4th and 5th of July and promises to be packed with good old fashioned seaside fun! The WORDS performance event will also celebrate its 2nd birthday this July. It takes place on the first Wednesday night of every month. All are welcome and we have a few special guests lined up too. Congratulations to the 20 teachers who recently completed Part 2 of our art training course “Get Creative and Pass it on!” in association with the Waterford Teacher’s Centre. A big WELL DONE to our 30 young art students who completed the Creative Reuse series of workshops in association with Recreate, Dublin. Classes for 4 to 12 year olds return on April 21st for juniors and on April 23rd for seniors. Meanwhile Sean and Miranda are busy completing major book and mosaic projects in primary schools. For adults the Saturday Art Club recently included Batik, Painting on Glass and Mosaic. Check www.thearthand.com for further details or stay tuned to our Facebook page. Thank you all for your support over the past three years. This entry was posted in Happy Birthday, Saint Patrick's Day, The Promenade Festival and tagged art classes, art school, bunmahon, childrens art, Event, Ireland, kids art project, Miranda Corcoran, Promenade Festival, Saturday Art Club, Sean Corcoran, The Art Hand, The Copper Coast, Tramore, waterford, Words, Words Event. Bookmark the permalink.